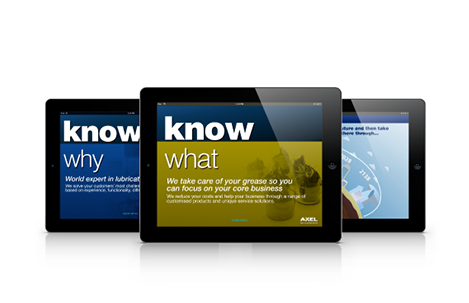 An important part of this success is based on education and on effectively communicating the benefits and advantages of specific grease formulations to end clients. AXEL develops customer-specific educational, promotional and sales tools that very effectively highlight the superior performance, durability and ROI of the customers' greases. These customer-branded tools help our customers clearly differentiate themselves from the competition. Development of client specific marketing & sales tools: brochures, flyers, handouts. Find out how AXEL's marketing & sales resources can work for you. Contact us.